Installing a wireless lighting control system in an existing home can be three to four times faster than a hardwired system. In existing homes, wireless systems beat hardwired when considering labor costs, project size, system reliability, product cost and client satisfaction. When homebuilders were constructing 2.1 million homes per year, who cared about addressing existing homes? Now with just 300,000 predicted to be built in 2010, existing homes are the last bastion of revenue. As the market continues to transition, integrators sometimes face the choice of installing hardwired vs. wireless. Here are five factors to consider when making that decision. Product Cost: In general, hardwired lighting control systems tend to be about 20 percent to 30 percent less expensive than their wireless counterparts. That pricing difference also extends into the motorized shade control category, which is a form of natural light control. Reliability: Consumers, even more than integrators, are becoming comfortable with wireless technology. The pervasiveness of wireless computer networks, iPhone, iPads, etc., have even made older homeowners less fearful of “invisible” technology. On the other hand, hardwired systems are 99.9 percent bulletproof. Labor Cost: The labor costs for installing a wireless system can be calculated in hours, while labor costs for wired systems can be calculated in days. Client Satisfaction: I am not talking about post-installation satisfaction, but the actual angst that can be created from a team of guys crawling in attics, drilling holes, creating dust, etc. from a hardwired installation. When an integrator walks into a nicely appointed, spotless home, wireless should immediately be considered. In many cases, a homeowner – from a neat freak to an Oscar Madison – will choose not to have an installation done simply because they do not want to have the disruption in the home. Clearly, a wireless system can be installed much quicker with very little disruption. Most of the labor cost is programming, not pulling wires or drilling holes. Final Rank: The bottom line: installing a wireless lighting control system is less expensive for integrators. According to Weinstein, it’s about 3X to 4X less expensive. Custom Installation Services, LLC - Charlotte NC ’s #1 Lutron Radio Ra2 Dealer, Installer, Programmer! CIS is Charlotte NC's First Choice For URC Remote Programming & Sales! Users can view their energy usage on Network Series controllers. Just how hot is energy monitoring? 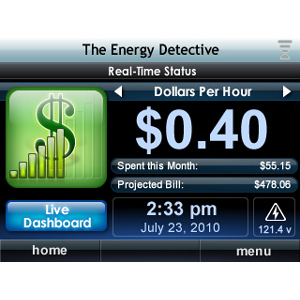 Now you can see your energy consumption in your home theater, on several URC controllers. URC has released new energy control modules for use with its Network Series controllers KP-4000, MX-5000 and MX-6000, that work with The Energy Detective (TED) 5000 energy monitor. TED integrates with a home’s electrical system to monitor a home’s total power usage. A certified electrician can install the TED 5000 device in the main panel in a few minutes. URC says homeowners not only can view their energy information on their URC controllers, but also act on that data by instantly adjusting the lights or temperature, or powering down their electronics components. The URC-TED solution does not require a two-way smart meter, and can be installed in any normal system. The module is being made available to URC dealers, so be sure to ask your custom electronics pro (CE pro) about it. Custom Installation Services, LLC - Charlotte NC ’s #1 URC Remote Control Dealer! The UD5005 and UD7005 players offer universal compatibility to play CDs, DVDs, DVD-Audio (DVD-A), Super Audio CD (SACDs) and Blu-ray discs. With a history of building some of the best gear in consumer electronics, Marantz America is entering a new product category with the announcement of its new 3D-ready Blu-ray players. The newly introduced UD5005 and UD7005 will replace the existing BD5004 and BD7004 disc players and they will be available in August and September for $500 and $900, respectively. 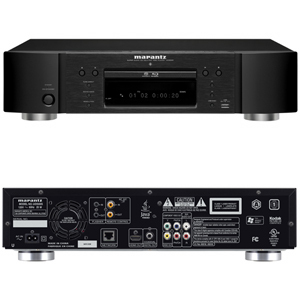 Marantz says the players offer universal compatibility with the ability to play CDs, DVDs, DVD-Audio (DVD-A), Super Audio CD (SACDs) and Blu-ray discs. The network friendly Digital Living Network Alliance (DLNA) 1.5-certified universal disc players are also labeled “future-ready” by the company because their upgradeability, which is highlighted by its support of 3D Blu-ray disc playback. Kevin Zarow, vice president of sales and marketing for Marantz America, says the players offer home theater enthusiasts the ability to tie together today’s variety of media through the use of a single component. “Our new UD7005 and UD5005 Universal Media Players are literally ‘game changers’ in the source component marketplace,” says Zarow. Technically, the players support the media playback through the use of 24- and 32-bit digital-to-analog (DACs) converters, HDMI 1.4a digital outputs and legacy electronics support with multichannel analog outputs. In addition to these features, the players also offer Netflix and YouTube streaming, and appealing industrial designs developed in-house by the company. Custom Installation Services, LLC - Charlotte NC ’s #1 Marantz Electronics Dealer!